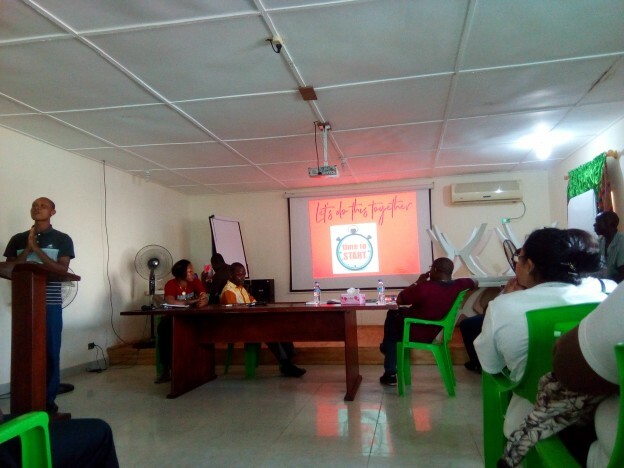 The IGORCADIA Project, which takes place in Monrovia, Liberia, in collaboration with the public institution “Regulatory Authority of Medicines and Health Products of Liberia” (LMHRA) and the Saint Joseph Catholic Hospital (SJCH), with the support of Juan Ciudad Foundation (FJC), is highly committed to promoting equal opportunities in science and research from a gender perspective among participating institutions. The IGORCADIA team and the Global Health Institute of Barcelona (ISGlobal) Institution are contributing to improve the quality of life, the health of women and girls and the participation of women in all the activities developed within the Project. The fields of researching and science are sometimes challenging for the professional development of a woman. Despite research projects advocate for promoting gender equality as one of their essential policies, and vigorous efforts are attempted in this regard, some monitoring and evaluation studies have shown women continue to have a low representation in this field, and the issue of gender is still far from being systematically addressed in research projects. 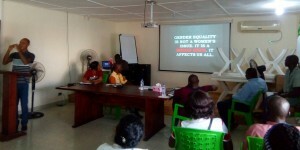 In December 2018, during the monthly general staff meeting at SJCH, a presentation on Gender Equality was conducted by two IGORCADIA research team members, Mr. Mandella King, physician assistant and coordinator of the ER, and Ms. Vivian Felix, laboratory technician responsible for the Molecular Biology Unit. During this event, the global situation of women in science was highlighted, emphasizing the low participation in the research field in West African countries. The message was clear; we need to work together to achieve a better balance in opportunities, increasing participation and involvement of everybody working in research and lastly, eliminating disadvantages due to gender discrimination.